Wireless Morse code began a new age of communications, magically sending invisible waves through the ether received at some distant place. Among the first universities to experiment in this unknown world was The Ohio State University, which became one of the first educational broadcast stations and a think tank for the future of public service radio—pioneering radio audience research and serving as an innovative school of the air. Sparks Flew is a rich story of creative, tenacious men and women working in a new medium that commercial enterprises soon dominated. At any moment in time, educational broadcasting could have failed if not for a few land-grant institutions like The Ohio State University and prominent stations like WOSU that supported the medium. 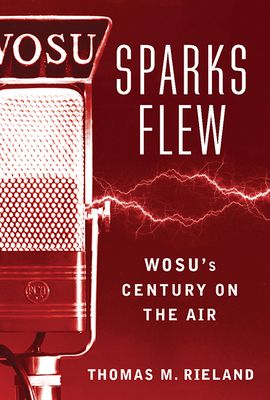 Sparks Flew is the untold story, a century in the making, of one institution and one educational station that represent the roots of today’s public broadcasting system. Thomas M. Rieland is General Manager at WOSU Public Media, The Ohio State University.